The business group campaigning for High Speed 2 to be extended to Liverpool has claimed the move would also act as a lengthening of HS3. Chancellor George Osborne this week mooted the idea of a rapid rail line between Manchester and Leeds, the two cities at the end of the current proposed route for HS2. Andrew Morris, chair of campaign group 20 Miles More, said extending HS2 to Merseyside would create a more impressive HS3 in due course. “Mr Osborne’s comments are an endorsement of the case we have been making over the last six months about the logic of an east-west connection,” said Morris. 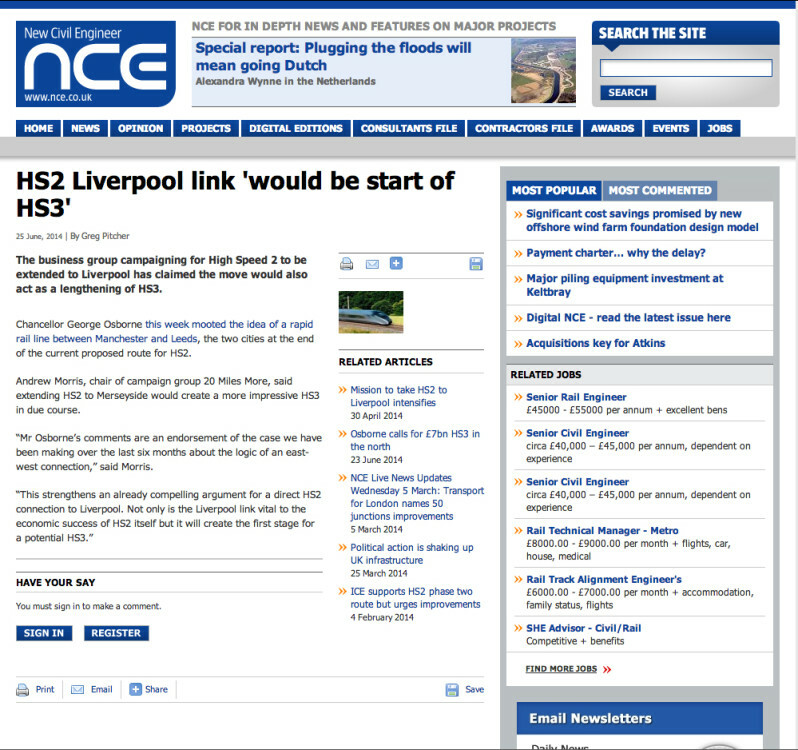 Previous: PRESS RELEASE: LIVERPOOL CAMPAIGNERS AND MAYOR BACK OSBORNE’S HS3 PLANS.